Mumbai's Chhatrapati Shivaji International Airport is already serving more than it is capable of. Official data show the airport handled over 45 million passengers last year while it has an installed capacity to serve only 40 million passengers. All eyes are now on the launch of the Navi Mumbai Airport that is expected to take the burden off the city's primary airport, which is also the busiest single runway airport in the world. Ending the 21-year wait, Prime Minister Narendra Modi on February 18 laid the foundation stone for Phase-I of the airport project. "While the aviation sector is growing fast (clipping at 20 per cent for the past many months), aviation infrastructure is lagging behind this. Our endeavour is to increase the speed of work," the PM said after the ground-breaking ceremony. On March 14, the Navi Mumbai Airport Private Limited said the international airport would be designed by celebrated Zaha Hadid Architects. The London-based architect firm was selected after a 12-week design competition, which witnessed international architect firms participating. 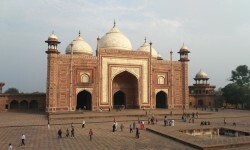 This would be the global firm's first major project in the Indian sub-continent. Now, there is a difference of opinion about how soon we can expect the airport to be operational. Minister of State for Civil Aviation Jayant Sinha recently said that Navi Mumbai Airport might start operations only in four to five years. 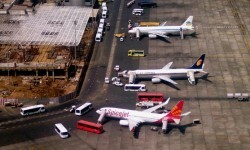 "Mumbai remains the most bottlenecked single-runway airport due to which aviation growth is a concern. There is no quick way to add capacity until the Navi Mumbai airport comes up in the next four to five years," the minister said in January last year. Without offering any details, the minister efforts would be made in the meantime to "enhance the capacity at the Mumbai airport". On the other hand, the City and Industrial Development Corporation (Cidco), which is the special planning authority for the project, has said that the Navi Mumbai Airport would be completed by the end of 2019. Now, Maharashtra Chief Minister Devendra Fadnavis has said the Navi Mumbai Airport would be ready by mid-2020. However, a notice sent by the Bombay High Court to the Centre and the Maharashtra government might throw spanner in the works. On February 21, the HC issued notices to the two parties seeking their response to a PIL, challenging the environment clearance granted for the construction of the airport. The petition sought the HC's direction to quash and set aside the environment clearance given by the Union Environment and Forest Ministry in November 2010, and, as way of interim relief, sought direction to the government to stop work at the site for the proposed airport. "The environment clearance granted by the Union ministry is illegal, bad in law, and is granted without application of mind as construction of the airport cannot be done on mangroves and water bodies," the petition read. Even 45 years after authorities in Maharashtra thought they needed more urban space to house the rising population of Mumbai and set up the City and Industrial Development Corporation (Cidco) with much fanfare to develop a twin city, Navi Mumbai had failed to draw the desired interest. 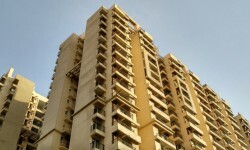 Despite being better planned than India's financial capital Mumbai and offering real estate at comparatively low prices, property in Navi Mumbai had not been able to excite homebuyers the way authorities would have liked. This was largely because of the slow infrastructural development in the area. Despite the fact that the population in Navi Mumbai jumped 100 per cent between 1971 and 2001 - from 1.5 lakh to 11 lakh - the city was clamouring for more in the pre-set scheme of things. After all, Navi Mumbai was planned as a 'counter-magnet' to Mumbai. The case of the Navi Mumbai airport is one for study. While the initial work to develop the airport had been initiated as early as in 1997, and the environment ministry's approval procured in 2010, the construction work could not commence. The reason: The green ministry had put certain terms and conditions for the Cidco before clearing the project. There was a further delay because the authorities had to amend the coastal zone regulation rules to make way for the airport. In October last year, the Chief Minister's Office in Maharashtra had said that the project would be executed by December 2019. It has also approved the selection of GVK-led Mumbai International Airports Ltd (MIAL) for developing the Navi Mumbai International Airport on public-private-partnership basis. The Cidco will be working as the nodal agency for the airport development. Many, especially developers who had invested heavily in Navi Mumbai anticipating a massive price appreciation, heaved a sigh of relief when the clerance was given was stage-II development. The stage-I approval had been granted in 2013. To be built at a cost of Rs 16,000 crore, the Navi Mumbai airport will have the capacity to handle 10 million passengers annually. Not only will it share the rising passenger burden of the Mumbai's Chhatrapati Shivaji International Airport, but it will also generate more employment opportunities for local people. (The Cidco expects the airport to generate over four lakh direct and indirect jobs.) This will certainly trigger large-scale migration to Navi Mumbai and help real estate developers clear their inventory. As more and more infrastructure and transport projects see the light of day, Navi Mumbai will surely start acting as Mumbai's 'counter-magnet' and real estate in Navi Mumbai will begin to soar.